Chatelain, Jean Baptiste Claude (1710?-1771)?). 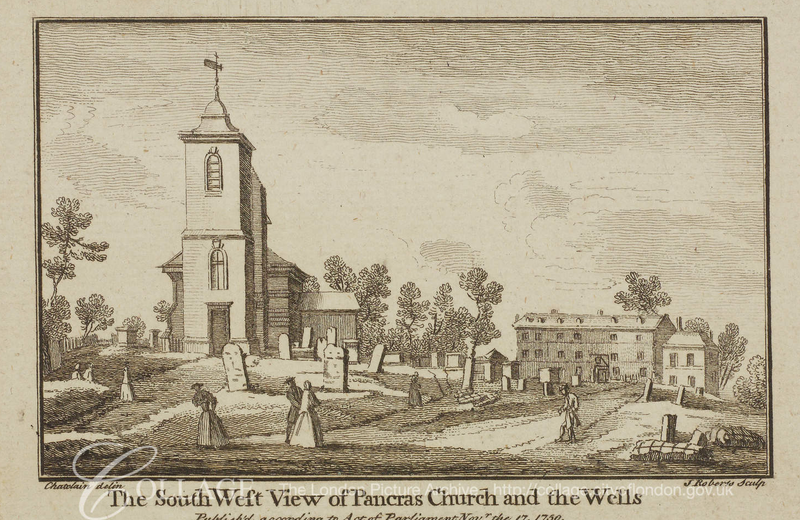 ‘The south west view of St Pancras Church and the Wells’ (1750), from Lysons ‘Environs of London’. Source: London Mteropolitan Archive, ref. p5379599.